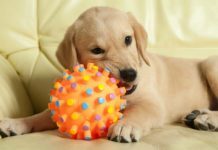 Home Reviews Which Dog Crate Is Right For My Labrador? 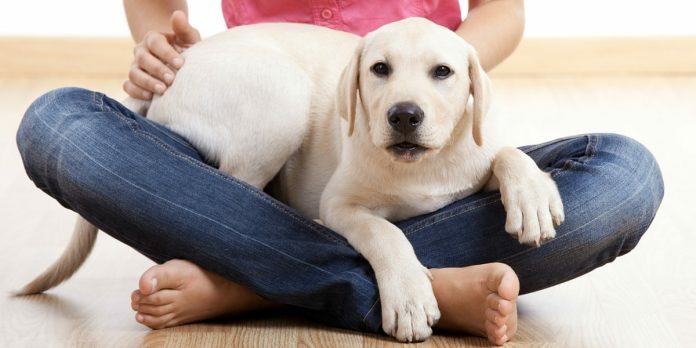 Perhaps you are looking forward to bringing your new Labrador puppy home any day soon. 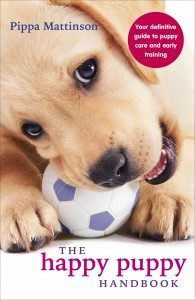 Or perhaps you are in the process of adopting a Labrador from a rescue centre. If so, you may want to consider purchasing a crate for your new dog. It’s important as an owner to know which dog crate is right for my Labrador. Many dog owners nowadays use crates to provide a safe and secure sleeping area for their puppy or older dog. And to protect their possessions from damage whilst pups go through the ‘chewing’ phase. 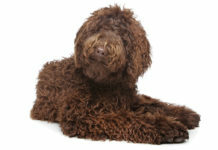 You can check out this link to find information on the benefits of crating and crate training. But today’s article is about choosing the right crate for your dog. 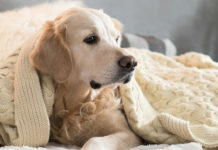 A dog crate may be one of the more expensive purchases you make for your dog so it is important to make the right choice. Crates come in a range of style and sizes. Fabric crates can be useful for camping, and plastic carry crates can be useful for small puppies. But you will need a strong metal crate,if you are to get the benefits of crating in both your home and your car, in the long term. 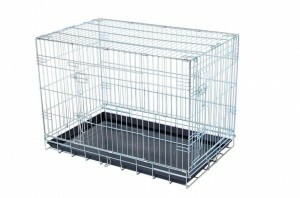 This large sturdy crate is in a popular style, and folds flat when not in use. How big should my crate be? If you are buying a crate for an adult labrador you will need either a 36” or a 42” crate. This size refers to the crate length. Height and width will vary a little according to the make. The 42 inch version is best suited to very large Labradors. Obviously the bigger a crate is, the more of a nuisance it is in the house, so it is tempting to opt for the smaller version. But a large Labrador will need the bigger size. Don’t forget, he should be able to stand up without banging his head, turn around comfortably and lie stretched out on his side if he wants to. If you put a very young Labrador puppy in an adult sized crate, he will probably make a nest at one end, and use the other end as a toilet. So it is very important to provide your puppy with a small space to sleep in for at least the first four months. You can buy a small puppy crate to use for the first four months. Or, you can put a divider into your adult crate so that the puppy only has access to on end of it. 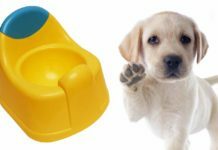 The Ellie-Bo Dog puppy crate pictured here is very popular with our readers. Most crates nowadays come with two doors. 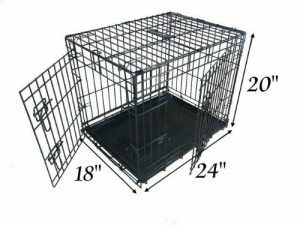 This simply gives you a wider choice of places in which you can locate the crate, and can be helpful if you intend to move your crate from room to room. If you are buying a large crate for a small puppy to grow into then a divider can create a smaller space more appropriate to their needs. This can be ideal provided you don’t mind having the large crate in your home from day one. Don’t forget, crates are only suitable for short term confinement during the day. 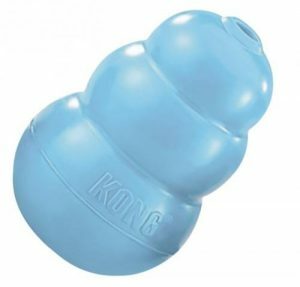 They are great as house training aids, and for busy times of day when you can’t watch your puppy. Getting the kids ready for school for example, or preparing the evening meal. If you go out to work, you’ll need to set up a puppy pen system. 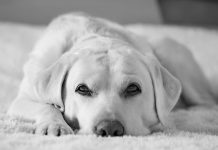 Find out more about combining looking after a Labrador with full time work in this article. 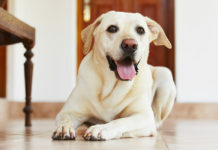 Next articleCan You Get a Labrador If You Work Full Time? Hi Christine, The highlighted text under sub-heading “How big should my crate be?” is an affiliate link to a 42 inch crate on Amazon. Hope this helps! To Lorraine: I Would like to know which crate you decided upon. We also have a “car-anxious” labradoodle. He has destroyed two very expensive retractable seatbelts & cries & drools in the car. His hard crate is too cumbersome for the car & we’re going to try a soft crate hoping instead of clawing through it, will feel some sense of security. What was your experience & outcome? My dogs shed copious amounts of hair through the sides of metal crates, so instead I use sturdy plastic crates in the house and car, crates which are also usable for transport by air should the dogs need it.